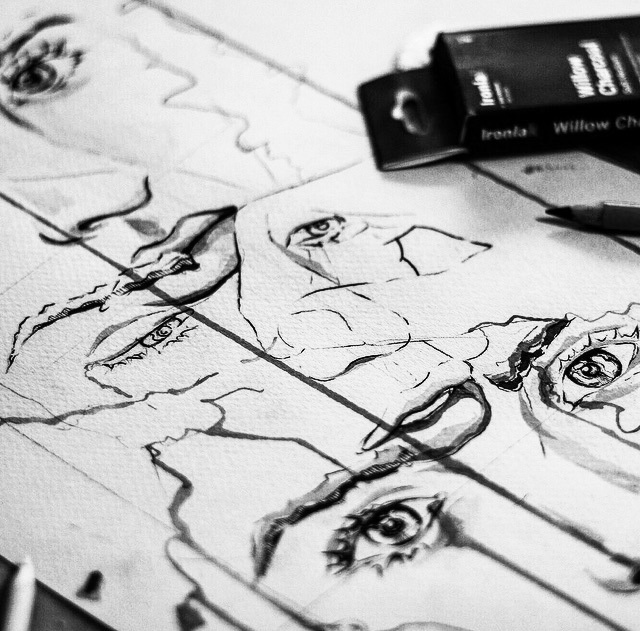 Below: WIP artworks by Kiss, Bafcat, John Kaye, Aeon, Maid, Buttons,Lusid Art, Lauren Webster, Arswandaru, Pat Rogash and Dean Nenadich. Next Friday, Brisbane’s cosiest, yet most innovatively occupied art gallery, ‘The Culprit Club’ turns one-year-old. After an insanely successful 12 months, featuring almost 100 local, interstate and international artists though a series of solo/group exhibitions, hosting over 20 events and launching a local creatives residency program, it’s crazy to think how far the the humble beginnings of The Culprit Club have come. 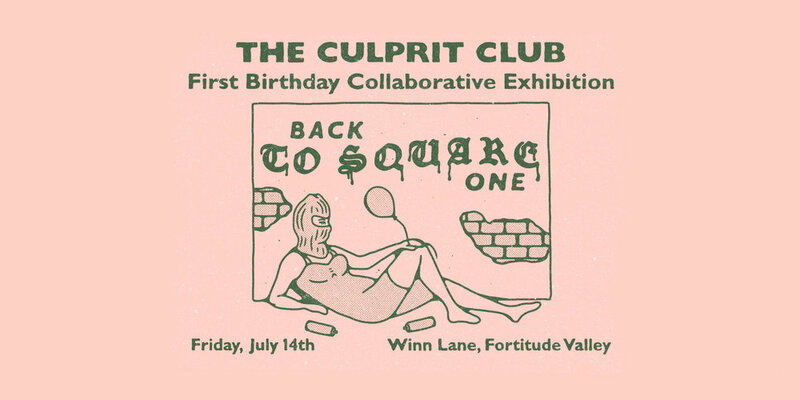 To celebrate their ripe young age, The Culprit’s one year birthday show, 'Back To Square One' is really something special. Keeping true to their ‘art amity’ ideals, they’re launching an all collaborative group show featuring 40+ artists who've been the heart and soul of the space over the last year. 'Back To Square One' may be one of the first exclusively collaborative artist exhibitions we've heard of. With each individual bringing the uniqueness of their personal styles to compliment, contrast and come together with the style of another, it really is all for one, and one for all! Make sure you head out to Winn Lane, Fortitude Valley from 6pm, next Friday 14 July to peep the collaborative works of all the artists, and party with the culprit crew! Aeon, Aidan Ryan, Alex Lehours, Arswandaru, Bafcat, Blex, Buttons, Billie Schneider, Chris Doyle, Chehehe, Chrissie Abbott, Dean Nenadich, Diz, Drule, Emmanuel Moore, Funeral French, Graham Hare, Hanna, Inkboy, Irok, Ivo, James Nye, John Kaye, Kiss, Kiel Tillman, Lauren Webster, Lusid Art, Lucinda Wolber, Lucks, Luke Henery, Maid, Markus Ravik, Memos, Oh Noes, Pat Rogasch, Phibs, ProCreativ, Reuben Stocks, Sevens, Shaman, Soda Mouf and 1337. Join the party and full details via the Culprit Club's FB event page.